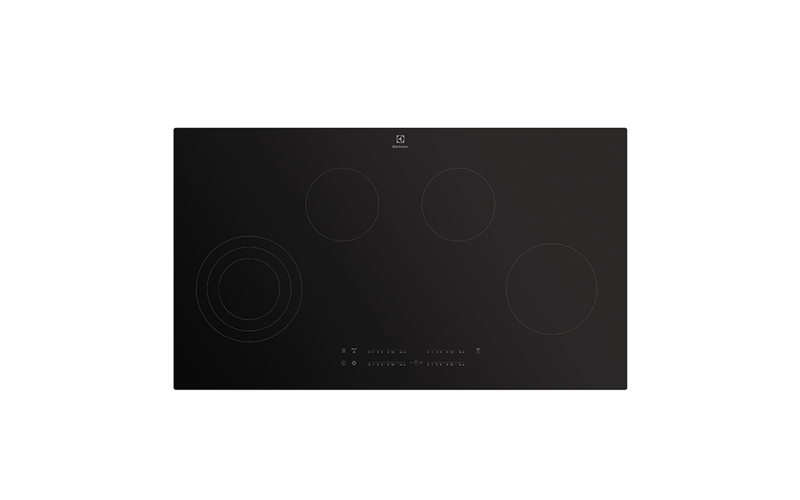 90cm 4 zone ceramic cooktop with Hob2Hood technology, flexible triple zone and touch and slide controls. From the elegant, black ceramic surface to the smart, triple zone cooking feature, youll love everything about your new cooktop. The touch controls on the ceramic hob lets you heat up, down or switch off effortlessly. Just gently slide your finger across the control to the temperature you need and you can be confident it will respond, so you can create delicious meals effortlessly. Relax, knowing your soup wont boil over if youre interrupted in the middle of cooking just turn on the keep warm feature until youre ready to get back to it. If youre juggling multiple tasks, youll love the timer that acts as a handy reminder to check your results.